*45% OFF 2018 Pricing + FREE Installation applies to ALL available 2018 DISPLAYS for Sale at the TAMPA and OCALA Stores. 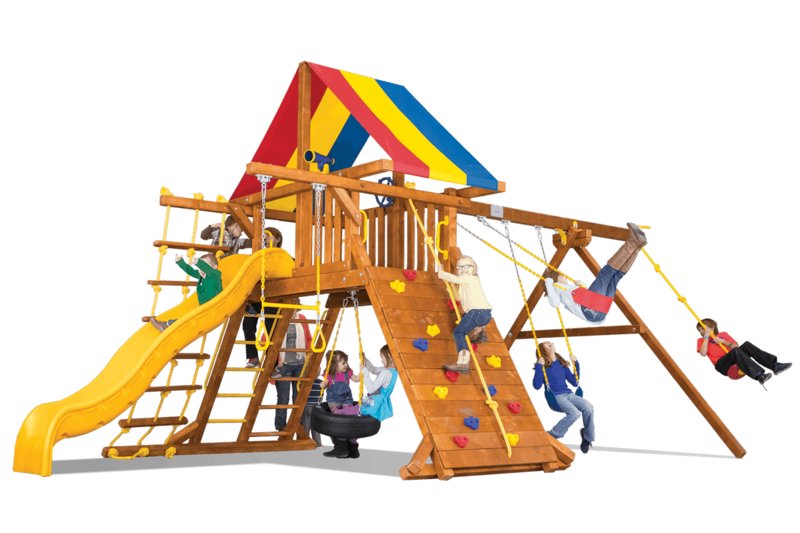 IN-STOCK 2018 Playsets receive 45% OFF 2018 Pricing + $99 Installation on Rainbow & King Kong Series. $199 Installation applies to Fiesta, Circus, Sunshine & Carnival Series. Florida distance charges may apply. Color Pkg may vary. Prices are for sets "As Pictured", Display pricing may be different, no deletes, substitutions, or color changes, must add Sales Tax. You may add items to the Playset which may need to be ordered and installed at a later time. *Pricing, Incentives & Availability are subject to change without notice. 0% Financing Available. While Supplies Last.